Ellevate Squads are small, diverse groups of women at similar points in their career. In our twelve-week program, you’ll spend 30 minutes each week video conferencing with these driven, intelligent women — it’s the best way we’ve found to get the support and insight you need to get to the next stage of your career. Avoid the dead-end coffee dates. Trying to network, but busy? Get the most out of your time by building ongoing relationships with a group. Get outside of your normal circle. Your Squad will get you — but will also offer insights and unbiased, candid advice from inside other companies. In less than a lunch break for 12 weeks, make a professional development a part of your routine. Ready to Join Your Squad? The Squads program is open to Ellevate Achiever, Innovator, and Executive Council members. 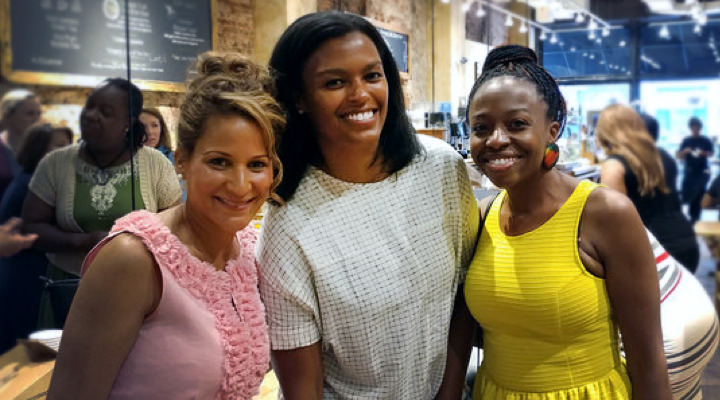 In a Squad, you’ll meet professional women committed to helping you succeed. We use the power of community to help you take the next step in your career. Great insights from many different perspectives. It's really helping me to think outside of the box. Truly enjoy the time I spend with my squad!! I’ve found this is a great way to have dedicated professional development and career planning time built into my busy schedule. This has been a great way to feel a sense of belonging to a group of like-minded people — and to get stimulated with great feedback from people with different experiences from you. I would recommend joining a Squad to have a safe place for women to share their issues, goals, anxieties and knowing others are in the same position. Ellevate Squads are small, diverse groups of driven professional women who support each other in reaching their goals. This online program is a benefit of Ellevate membership. Why should I join a Squad? Research shows that belonging to a group of supportive, like-minded peers helps you identify and achieve goals that would be difficult to reach on your own. A strong group acts as a support system, gives you external feedback, and holds you accountable. Together, the group’s knowledge, network, and power is greater than the sum of its parts. 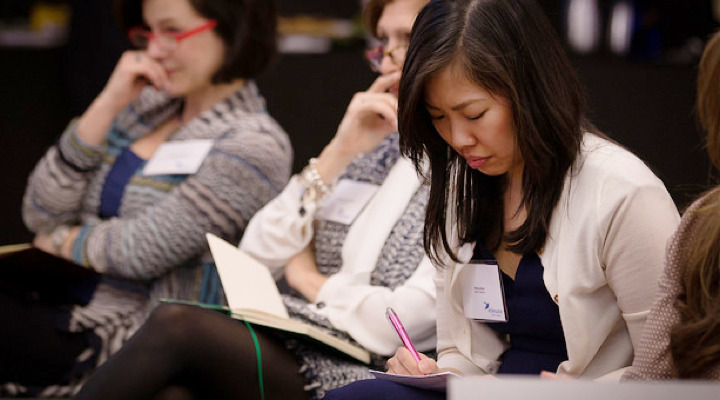 You may have heard of Mastermind groups; Ellevate Squads follow similar guidelines, and make it easy to build meaningful relationships with professional women who’ll help you get to the next stage of your career. Squads not only make investing in yourself a habit — they make the most of that investment. What am I committing to by applying? By applying for Ellevate Squads, you’re committing to supporting a group of like-minded professional women in reaching their goals. They, in turn, will provide you the same support and guidance. You will be required to attend a 30-minute Program Kick-Off video call, followed by weekly video calls over the following 12 weeks. We take your schedule availability into account when picking Squads, and in turn we ask you're honest with us and yourself when selecting your Squad Meeting Dates. Squads also communicate via Ellevate Conversations, our member-to-member messaging platform; Local Squads often meet up in person at Ellevate events. Ellevate members can apply for a Squad during open enrollment periods throughout the year. Keep an eye out for emails and updates on this page when that period begins! If you have any questions about Ellevate Squads, you can reach out directly via squads@ellevatenetwork.com. How do you pick the Squads? We hand-pick each Squad of women at similar stages of their professional career. We take into account your location, your level of Ellevate membership, your schedule, and your goals. We pick Local Squads from within a single chapter, and Global Squads from our community around the world; Squads vary in size from five to nine women. 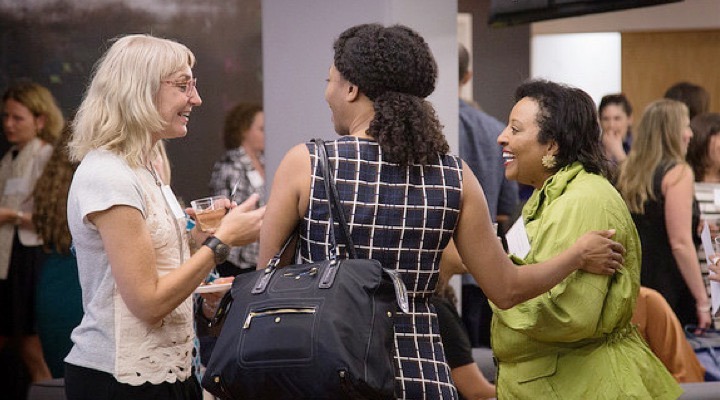 An Ellevate Achiever, Innovator, or Executive Council membership is required to participate; if you aren’t a member, we’ll help you get started. Using the information from your Member Profile, we hand-pick Squads, nominate one Squad Mod to manage the Squad's curriculum and calls, and set up a 12-week curriculum. The 12-week curriculum features topical discussions alongside Hot Seats, which are important opportunities for each member to get dedicated feedback on her current situation. We’ll introduce you to your Squad a few weeks before the mandatory kick-off, a 30-minute video conference on a date you selected in your application. Each subsequent week at the same day and time of the week, your Squad will have a 30-minute video conference - you can join from your computer or mobile phone. After 12 weeks, we collect your feedback and reflect on the program; you’ll stay in touch with your Squad, and can either apply for a new Squad or take a break from the program. What does the Squad Mod do? The Squad Mod is responsible for setting up and maintaining the Squad’s curriculum and weekly agenda. The 12-week program consists of four types of video calls — a kick off, “Hot Seats” that focus on one member, “Hot Topic Discussions” that are more open, and a retrospective - which the Squad Mod oversees. Following a guide that we’ve developed — complete with video tutorials — the Squad Mod sets up the calendar and video conference invites, shares them with their Squad, and manages any ongoing schedule swaps. It shouldn’t take more than an hour or two over the course of 12 weeks, and in return you’ll be the most memorable, well-connected member of your Squad. How do I become a Squad Mod? When you apply for your Squad, indicate that you're interested in volunteering; we'll be in touch with training and materials if you're selected.